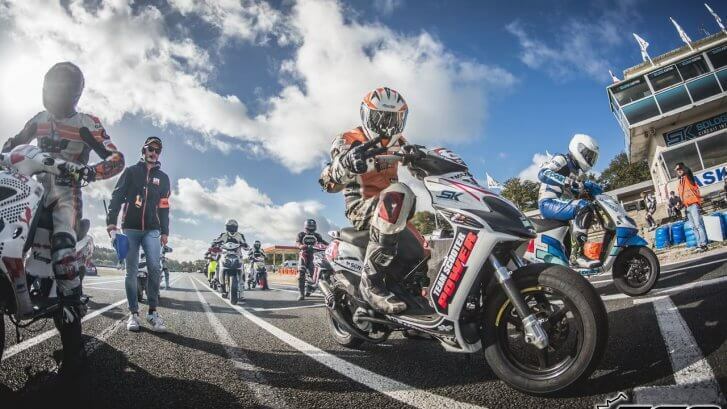 Racing season is fast approaching and our motorbike drivers need to test the machines and get their wheels moving. 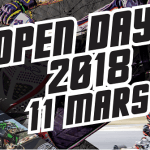 Whether you are a fan of TGO Trophée Grand Ouest or a new driver in the ScooterPower Trophy, you can take full advantage of the open training days proposed beloz on the circuit international de Salbris. 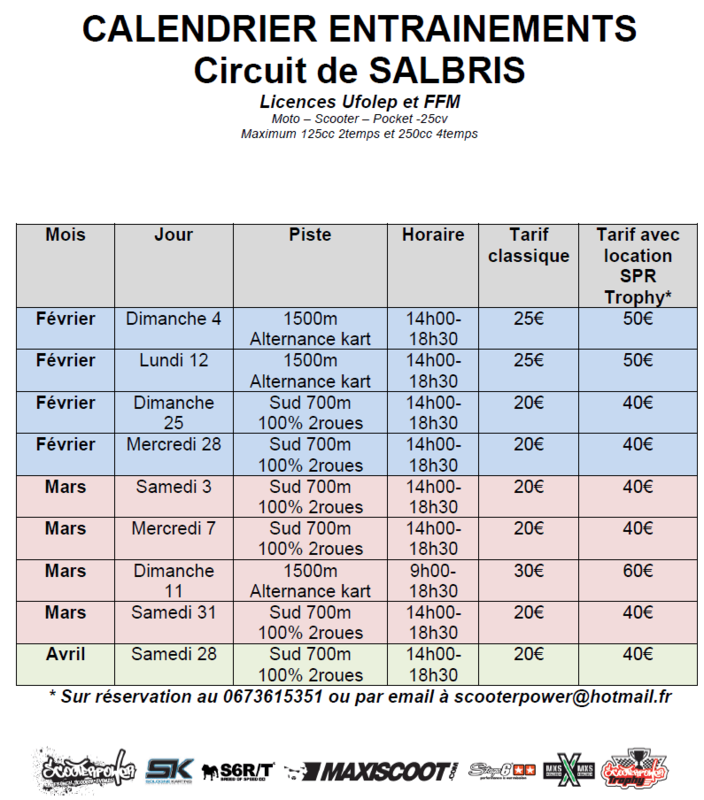 Drivers wishing to participate must have their Ufolep R6 licence OR the FFM 2018. It’s easy to come drive on our track! Just bring your machine or reserve a Zip Trophy package by phone or email. 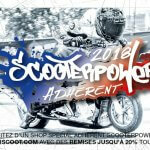 The driving sessions are organised in 15min heats, sometimes with just motorbikes or sometimes alternating with karts. See the schedule below for details. One more important detail, the track is not always the same depending on the date, so sometimes you will drive on the South 700 meter track with tricky features that help you improve your skills ; during other sessions you will be on the 1500 meter track used for the races so you can check your drive timing as for the real race !